Like every other software in Microsoft’s recent wave of releases, Office 2013 has an extensive amount of literature and reference materials on deploying the software suite for various scenarios. You can find most of what you need here (http://technet.microsoft.com/en-us/library/cc178982.aspx) along with the necessary deployment guide. 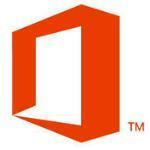 However, going through the steps in this article could help you prepare for an even smoother Office 2013 deployment. The first thing you should do is to make a plan of deployment. To put it in the most simplest of terms: Take stock of what you have, map out what you want to do and fill in the steps for what is in between. This includes listing down what related hardware and software you have on hand and which computers are going to run Office 2013. Bear in mind that the download itself is quite large at about 750 or so megabytes (which isn’t as bad as a full DVD, but would still take some time to download). Also, once it is installed, it should take up about 4GB worth of hard disk drive space so make sure that your targeted machines have enough space available to take it all and still have enough space for the cache and other important programs. Once you have a plan of deployment with your targeted goals in place you can start filling in the stuff in between with stuff such as Volume Activation, DNS settings and other important numbers. Microsoft have already included a tool just for this called the Office Customization Tool which you can use to customize the setup of the Office 2013 deployment. Decide if you have the time to do it yourself or if a silent install is the way you’d like to go instead. Once you’re ready with your choice of MSP image files you can go to the next step. Windows Talk office 2013. permalink. Is Traditional Anti-Virus Software Really This Bad?